﻿As the name suggests this implement is for forming ridges in soil that has already been cultivated / rotovated. When pulled through the soil it pushes the soil to the left and right side, leaving a furrow in the middle. By coming back down the opposite direction alongside the first run you form a ridge along one side, against the soil from the previous run. A typical use would be for ridging when planting potatoes. 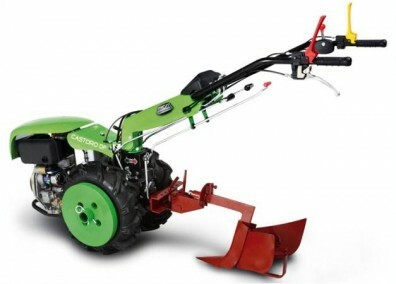 The implement attaches to the rear of the power unit and both the working depth and the width of the furrow can be adjusted, therefore adjusting the size of ridge formed.